A five-day international training workshop on “Internet Security: E nhancing Information Exchange Safeguards” organized by the Commission on Science and Technology for Sustainable Development in the South (COMSATS) was successfully concluded in Damascus, Syria, on 27th July 2011. 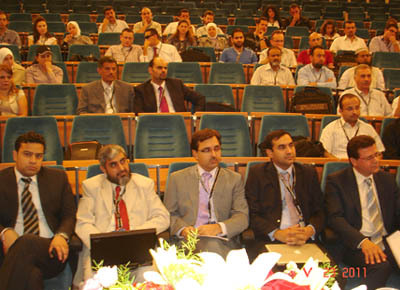 The Workshop has been organized in collaboration with the Islamic Educational, Scientific and Cultural Organization (ISESCO); the Inter-Islamic Network on Information Technology (INIT); the Syrian-COMSATS-COMSTECH IT Centre (SCC-ITC); the Higher Institute for Applied Science and Technology (HIAST), Syria; and the Ministry of Higher Education (MoHE), Government of Syria; under COMSATS-ISESCO Cooperation Programme (2011). The Workshop aimed at promoting the state-of-the-art technologies that safeguard the computer-networks and network-accessible resources from different types of computer-virus attacks. Furthermore, the working of a few of network-security tools was demonstrated to acquaint the participants with the latest technologies. 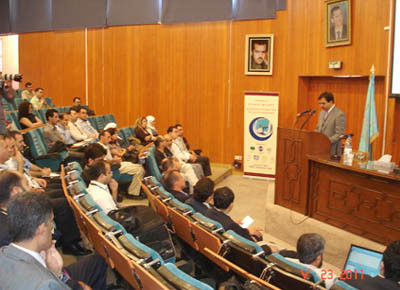 Held on July 23, 2011, the inaugural ceremony comprised addresses by Dr. Bassel Al-Khatib, Director ITC, Ministry of Higher Education, Syria (also the Director SCC-ITC); Dr. Maher AGI, Director of the Scientific Cooperation-HIAST, Syria; as well as messages from the Director General ISESCO and the Executive Director COMSATS. COMSATS and INIT were represented by Dr. Nasro Min-Allah, Head of Department of Computer Sciences, COMSATS Institute of Information Technology (CIIT); and Mr. Attiq-ur-Rehman, Senior Programme Officer-INIT, respectively. On behalf of HIAST, Dr. Maher applauded the efforts made by COMS ATS and SCC-ITC to organize and support this workshop. 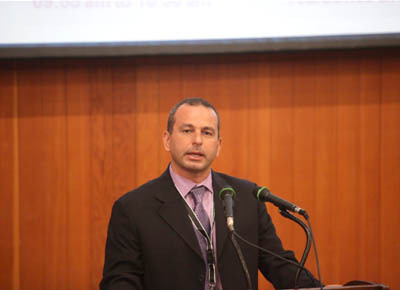 Dr. Maher outlined the achievements of HIAST, which included its contributions towards writing security-related policies and procedures; undertaking penetration testing and vulnerability assessment; building and operating certification-authority for GRID-computing at national level, and finally providing security solutions for public sector organizations. Elaborating on the issues that need to be addressed at the national and global levels, Dr. Imtinan Elahi Qureshi, in his message (read out by Dr. Nasro Min-Allah) urged on taking measures to ensure the confidentiality, integrity, and availability of the large amount of critical information available on the networking infrastructures worldwide. Five subject-experts from Pakistan, four from COMSATS Institute of Information Technology (CIIT) and one from the National University of Science and Technology (NUST), imparted training on Network Security; Organizational Security; Cryptographic Techniques for Network Security; Biometric Security; and Web Security. The workshop educated the participants on the network protocols, models, topologies and related security threats; modern-day cryptograph ic algorithms and protocols; how major web-security applications work; the working of contemporary biometric systems; different aspects of cyber security; setting up different web-security applications, e.g. Kerberos, IPSec and PGP; various types of anti-virus, anti-spyware and firewall tools; full disk encryption (FDE) tools, including TrueCrypt and Microsoft’s BitLocker; as well as, the use of packet-sniffing tools including Wireshark and TCPdump. The training Workshop comprised 20 technical sessions, and an Inaugural and a Closing Session. The event was attended by 15 international participants, from Malaysia, Indonesia, Bangladesh, United Arab Emirates, Nigeria, Egypt, Sudan and Jordan, as well as 50 Syrian participants. Around 80 relevant personnel participated in the event that included engineers, IT professionals, researchers and students, and representatives of government ministries and agencies, as well as representatives from the private sector including economists, bankers, media persons, and academia.